Has Nintendo really blown its Wii 2 strategy? While Nintendo has recently announced its plans for the 3DS release across Europe, there are still questions to be answered about its – still to be revealed - strategy for 'Wii 2', with some observers questioning whether a 'two console strategy' could work in the future. One analyst in particular that seems to be gunning for Nintendo is Wedbush Securities analyst Micheal Pachter, who thinks the company should be focussing on Wii 2 right now. "With as much respect for Nintendo management as I can muster, I think Nintendo's completely blown it with their second generation Wii strategy," said the analyst recently. "I think they have the mentality that to launch a new console they have to retire the old, and I think that's wrong. 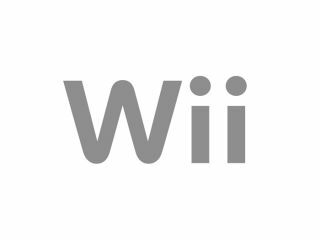 "I think the right strategy would have been to get a second generation Wii out and keep the old Wii at the same time, and have the second generation be the natural progression upgrade model." Pachter thinks that Nintendo has blown it. But has it? "A two-console strategy is perfectly feasible (as Sony have proved for the last decade) but requires a sufficient perceived value and price difference between the two consoles, a broadly separate set of core demographic and geographic targets for each console, and, arguably, sufficient competitive pressure to launch a new console." Gibson notes that at $200/€200, "Wii is still quite an expensive (and highly profitable) console and continues to match or exceed 360 and PS3 in ongoing sales. "Nintendo clearly feels it is not under significant competitive pressure and does not need to drop the price at this stage , irrespective of what we analysts say! "The Wii has a very broad demographic target market and any successor would likely need to target the same market to replicate the Wii's success. "Since the core of Wii owners are unlikely to care about processing power or graphical fidelity, any successor is likely to need more than just an HD upgrade and it may simply be that Nintendo has yet to develop a sufficiently compelling new feature to build Wii 2 around. A next generation of home consoles is coming, just not for several years yet." "Although the consumer excitement for a second Wii console in 2011 would be undeniable, it's perhaps premature to suggest it's in any way dropped the ball by concentrating on 3DS. It is true that the Wii is built on last-gen technology to a degree – which would leave it two generations behind any new home console from Microsoft or Sony. "But it's equally accurate to say that for a low manufacturing cost, Nintendo has created a technologically and cultural phenomenon, from which it has reaped huge fiscal rewards. Wii's popularity may be on the wane, but Nintendo's ability to wring the most interest from an untested and undemanding gaming audience is beyond question. "I have no doubt that the 3DS will be another runaway success, and that Nintendo will further perfect a marketing strategy which simply can't be judged against traditional games industry parameters. "The design and functionality of its next home console – whether Wii 2 or something else entirely – is under pressure from all sides, as rivals begin adopting the cleverest factors that have contributed to Wii and DS' breakthrough triumph."